You are looking for solutions to your complex challenges where you have to consider many aspects (factors)? We will help you as a consultant, trainer, facilitator or coach (e.g. via remote coaching). We identify the causes of your problems and develop strategies for effective solutions. 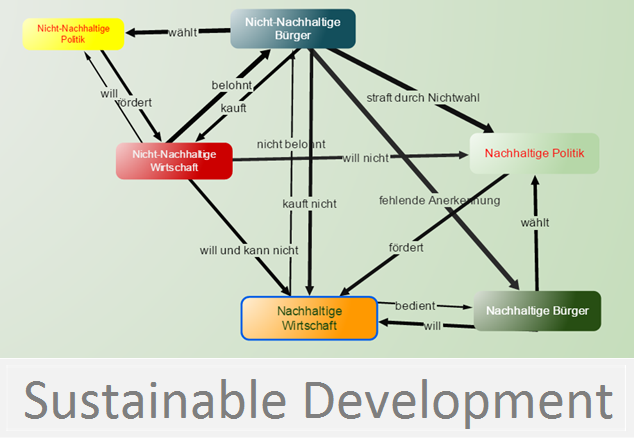 We will use your knowledge, our iMODELER, the systems thinking approach (KNOW-WHY), our social competence and a bunch of experiences from many projects out of larger and smaller enterprises and institutions. Our experience in the application of Systems Thinking covers a broad range of fields and applications. Below, you will just find a sample of main application areas and some selected projects. 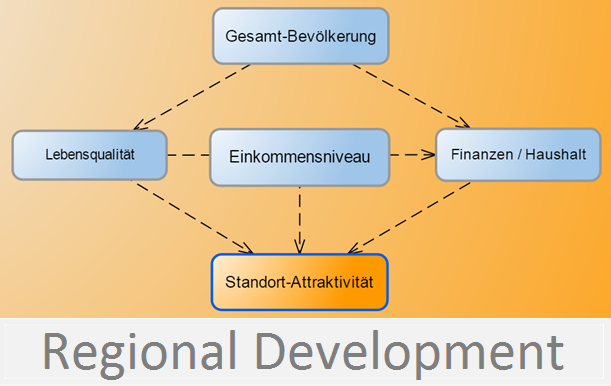 Please, ask for more information and application areas (info@consideo.de) or contact one of our partners. In the fields of "Sustainable Development", "Politics" and "Regional Development" experts are putting their focus too often on just optimizing subareas. By doing this, they often fail to master the complex challenges and make it even worst. They overlook or underestimate long-term consequences of actions and interconnections between the different subareas. They do not get the "big picture" because of limited tools, methods and knowledge. 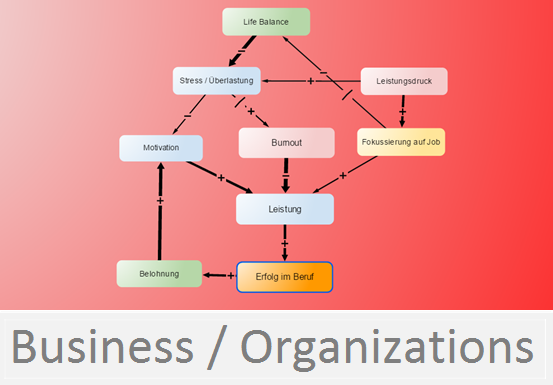 Not only in business, there are lots of challenges, where you have to consider many aspects (factors) and their interconnections to understand the underlying complex systems. These challenges are depending on individual circumstances and can not be managed by just adopting best-practice-approaches. We understand these challenges and can easily reflect the individual situation with the stakeholders to identify the most effective measures and help to implement them in practice. Our experiences covers different fields of applications like Strategy Development (even with Balanced-Scorecards or Strategy Map), Corporate Foresight (with Tipping Points, Crossing the Chasm etc. ), Change Management (including soft factors), Organizational Development and Learning, Quality Management (Six Sigma, Lean Management), Process Optimization (Theory of Constraints) or Project Management (Scenario-Management, Multi-Project Management, etc.). Here you will find some selected projects. Students still learn unmotivated and therefore less effective through learning by repetition. Instead, we rely on experience-based and project-based learning in our projects. At many schools, colleges and universities, cause-effect modeling is already used to convey the teaching and learning content more effectively. Hereby, the teachers are not just telling the students any longer (pure reception learning) how the interconnections on various topics are (e.g. the water cycle). Instead, the students are discovering the interconnections by themselves through interdisciplinary teamwork (discovery learning). By doing this, they learn not only a new, more effective form of learning, but also apply Systems Thinking as the key competence of the future directly. 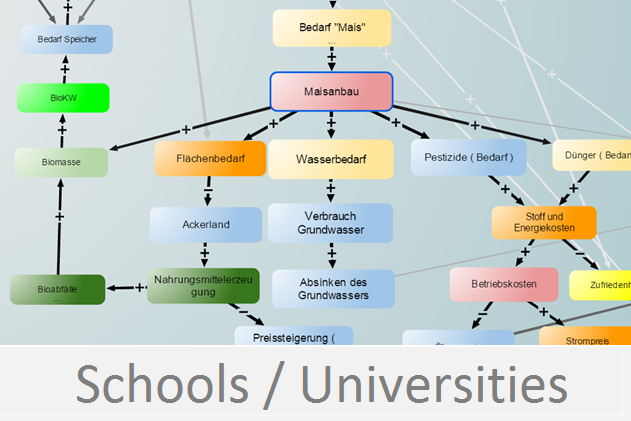 Here you will find further information about our activities "Systems Thinking and Modeling in Schools and Universities".